QuadrigaCX, the largest bitcoin exchange in Canada, has claimed to have lost CAD 190 million (nearly USD 145 million) worth of cryptocurrency after the exchange lost access to its cold (offline) storage wallets. Reason? Unfortunately, the only person with access to the company’s offline wallet, founder of the cryptocurrency exchange, is dead. Following the sudden death of Gerry Cotten, founder and chief executive officer QuadrigaCX, the Canadian exchange this week filed for legal protection from creditors in the Nova Scotia Supreme Court until it locates and secures access to the lost funds. In a sworn affidavit filed by Cotten's widow Jennifer Robertson and obtained by Coindesk, Robertson said QuadrigaCX owes its customers some CAD 260 million (USD 198 Million) in both cryptocurrencies, including Bitcoin, Bitcoin Cash, Litecoin, and Ethereum, as well as fiat money. However, Robertson said the cryptocurrency exchange only has smaller amount in a 'hot wallet' (USD 286,000), claiming that to protect its users funds from hackers, majority of coins were kept in a 'cold wallet'—a physical device that is not connected to the internet—by Cotten, who died of Crohn's disease on December 9 in Jaipur, India. Cotten was the only person who had the private keys to the wallet, according to Robertson, and no other members of the team, including herself, has the password to decrypt it. "For the past weeks, we have worked extensively to address our liquidity issues, which include attempting to locate and secure our very significant cryptocurrency reserves held in cold wallets, and that are required to satisfy customer cryptocurrency balances on deposit, as well as sourcing a financial institution to accept the bank drafts that are to be transferred to us. Unfortunately, these efforts have not been successful," reads a message posted on the QuadrigaCX website, which is down. Some users and researchers have been doubtful of the exchange's claims, with a leading cryptocurrency researcher, claiming that QuadrigaCX never had access to such a pool of funds and probably lying about having cold wallet reserves, suggesting the incident could be an exit scam. Crypto Medication, a researcher and data analyzer, performed in-depth blockchain analysis of the QuadrigaCX's Bitcoin Holdings by examining TX IDs, addresses, and coin movements, and concluded that "there is no identifiable cold wallet reserves for QuadrigaCX." 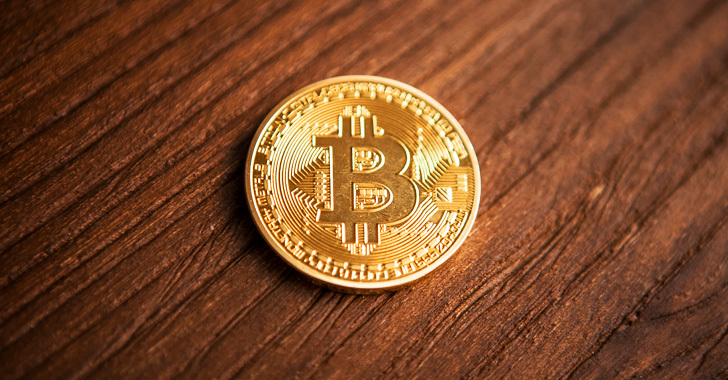 "The number of bitcoins in QuadrigaCX’s possession is substantially less than what was reported in Jennifer Robertson’s affidavit, submitted to the Canadian courts on January 31st, 2019," the researcher wrote. "At least some of the delays in delivering crypto withdrawals to customers were due to the fact that QuadrigaCX simply did not have the funds on hand at the time. In some cases, QuadrigaCX was forced to wait for enough customer deposits to be made on the exchange before processing crypto withdrawal requests by their customers." Some other people are also reporting that moving of some of the funds in question after the case was publicized and the strange circumstances of Cotten's death suggest that his death is either faked or the pretext for an exit scam by parties with access to the funds, according to CCN. "The people trying to pull off a QuadrigaCX exit scam could actually be the family and other employees, by hiding the fact that the cold wallet keys are known," bitcoin analyst Peter Todd said. "Not saying this is happening, but need to consider all possibilities fairly in the investigation." A bankruptcy hearing for the cryptocurrency exchange is scheduled for February 5 at Nova Scotia Supreme Court, with international accounting firm Ernst and Young Inc. to be appointed as an independent monitor. However, if the exchange has indeed placed its cryptocurrency in a now-inaccessible physical device, it is likely that thousands of its users would never be able to recover their funds and investments.